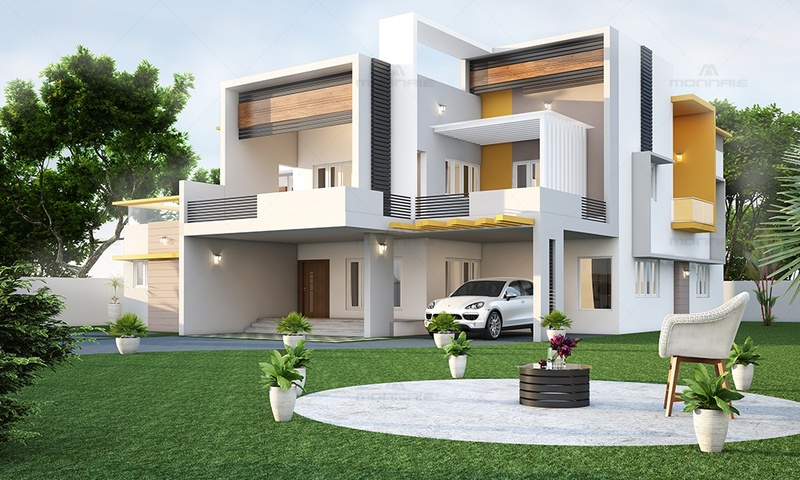 A spectacular contemporary architecture style house located in the beautiful city of Vellore, this is a perfect example of modern style living spaces. The yellow colour is used in the exterior as a pop-up. Although roof heights are all same, to bring in level difference different levels of parapet have been used. Two other colours used in the exteriors are white and beige. 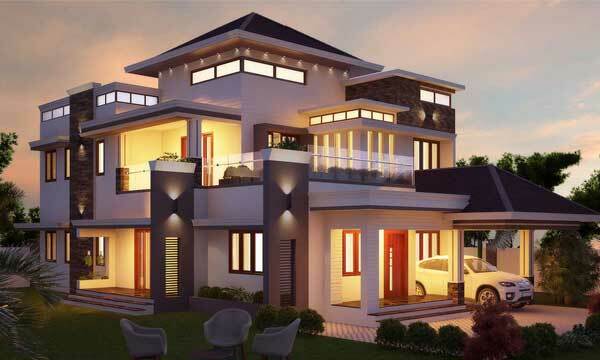 Windows used are made up of UPVC material and doors are all wooden. 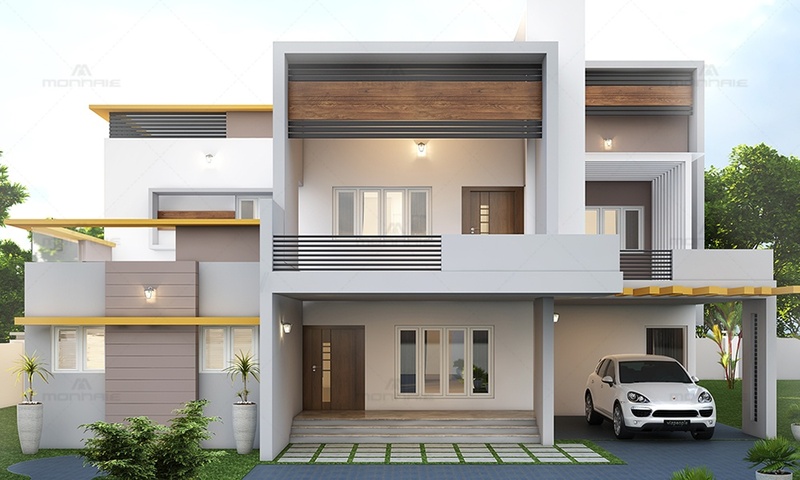 As one of the top architects in Kerala, we have highlighted certain areas using MS pipes with grey colour powder coating paint and wooden texture high-pressure lamination sheet to bring in the contemporary feel. The open terrace has been split using two type of materials – glass in one area and MS pipe in other. For the balcony, utility pergolas have been used with toughened glass above. 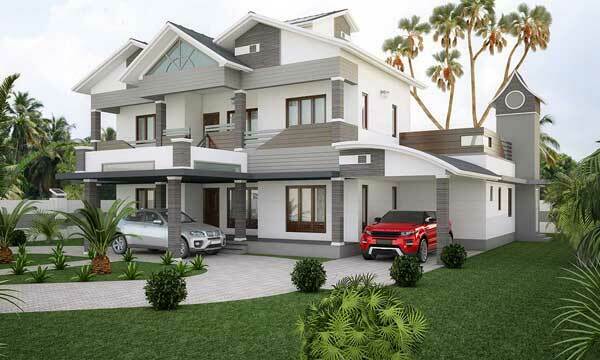 Another highlight is the landscape design which syncs with the house. The driveway has been designed with single tone paving tiles and the gap between paving tiles have been covered with mud-coloured mixing with cement mortar. Natural grass is used in front of the sit-out to get a green environment kind of feeling. 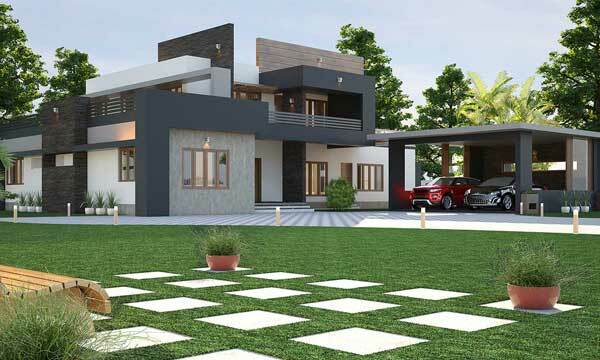 MS pipe in box design has been used for elevation purpose as well as for covering rainwater pipe from the terrace.